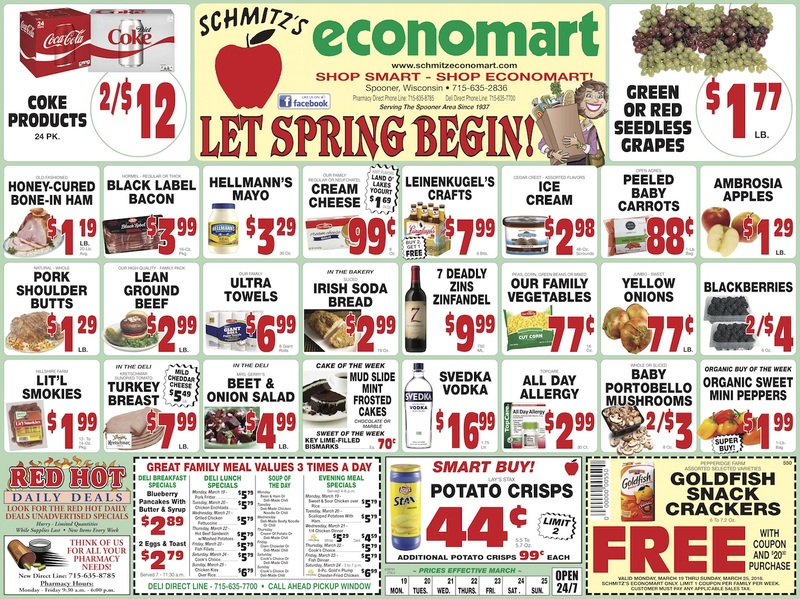 Here are this week's great deals from Schmitz's Economart located in Spooner, WI. Shop Smart, Shop Economart! Click on the flyer below to view/download in high-resolution (PDF).